With imports becoming costlier because of a free-fall in rupee against the US dollar, the government believes the current account deficit will overshoot the target and it cannot "disturb fiscal maths by cutting excise duty on petrol and diesel," the official, who wished not to be identified, said. 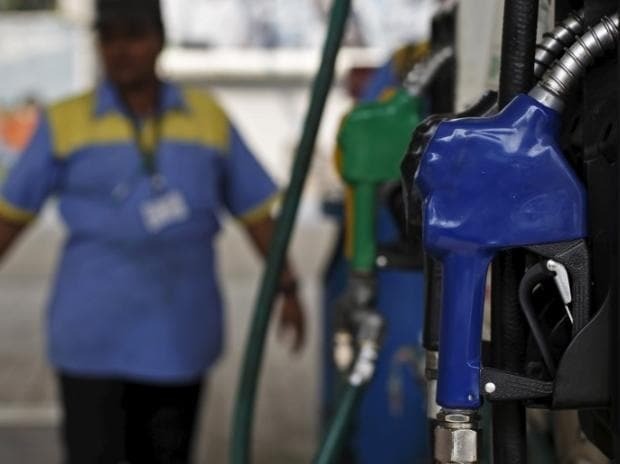 Petrol and diesel prices Tuesday touched fresh highs as rupee dipped to a record low of 71.54 against US dollar, making imports costlier. In an election year, the spending cut is not an option, the official said reasoning that it would hamper government's spending on development schemes. Last week, credit rating agency Moody's Investors Service said there are risks of India breaching the 3.3 per cent fiscal deficit target for the current financial year ending March 31, 2019, as higher oil prices will add to short-term fiscal pressures. CAD will widen but will not jeopardise India's external position, and the gap will remain significantly narrower than five years ago, it had said. This led to its excise collections from petro goods more than doubling in last four years - from Rs 991.84 billion in 2014-15 to Rs 2.29019 trillion in 2017-18. States saw their VAT revenue from petro goods rise from Rs 1.37157 trillion in 2014-15 to Rs 1.84,091 trillion in 2017-18. A litre of petrol in Mumbai costs Rs 86.72 while diesel is priced at Rs 75.74 per litre.